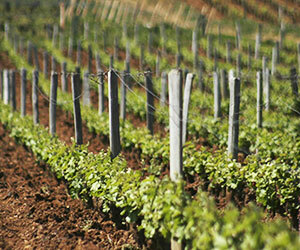 Domaine de la Romanée-Conti has a very strong claim to be the world's most famous wine estate. A reputation built on the widely shared view that, in the great vintages, DRC has no peer in the world for sheer beauty and power. The Domaine's smart but unpretentious feel reflects the understatement and humility of its public face; Aubert de Villaine. Within the total annual production of just 7,000 cases, there are fewer than 3,000 bottles of Le Montrachet and 5,500 of Romanée-Conti. Aubert's connection with the Domaine reaches back to 1911 when his grandfather became director at the Domaine. Aubert became co-director in 1974.